CREATIVITY AND ORIGINALITY are the heart and soul of woodworker Al Swanson, and these are manifest in his eponymous A.L. Swanson Gallery and Craftsman Studio in Helena, Montana. The gallery walls are adorned with a luxurious collection of paintings. A large sweeping window reveals the building blocks and sawdust of the furniture-building component. To navigate the gallery is to experience a sleek intermingling of talent, trade and toil. Heavily influenced by the New England Shaker aesthetic, Swanson consciously imparts his own flavor to his work. It could be a line, or it could be a slight curve or some other detail that makes it his. Developing that inner artist continues to motivate Swanson in his own work. 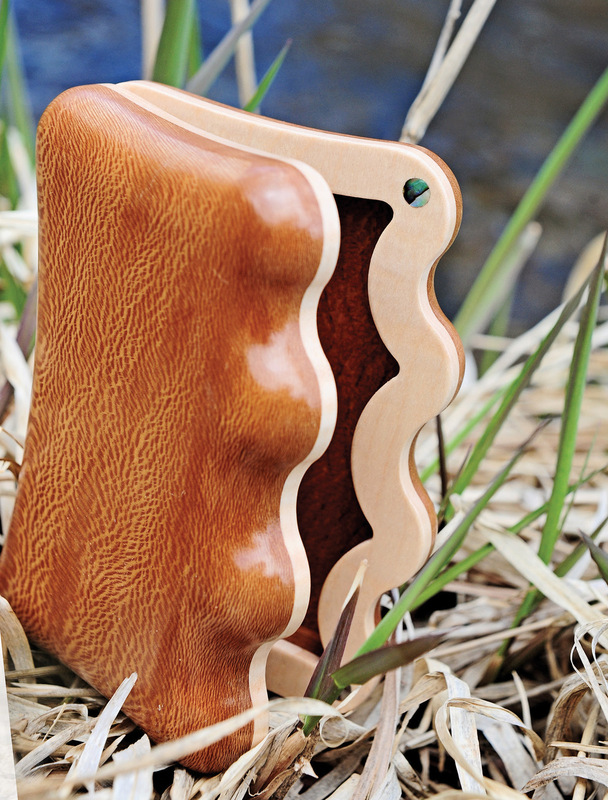 Last year, the Helena artisan spotted an opportunity to merge his love of wood and fishing with the thrill of testing new entrepreneurial waters. He would attempt to turn a plain, utilitarian, plastic fly box into a functional, handsome piece of art. 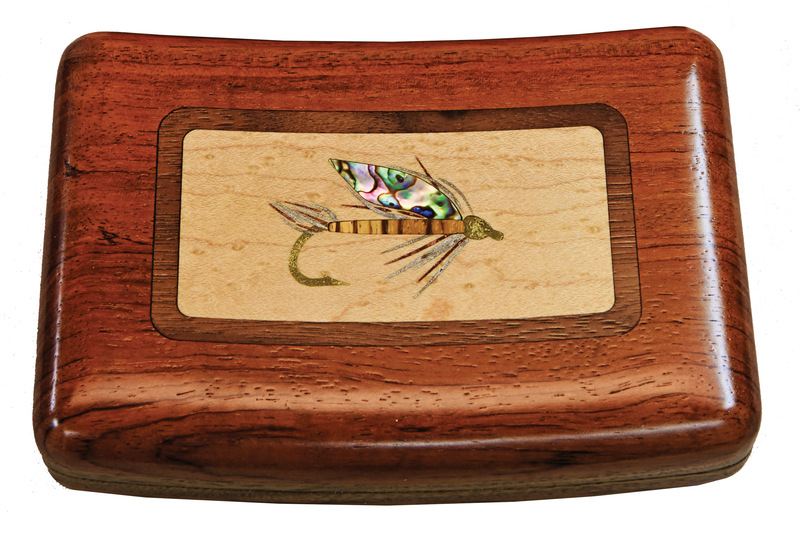 In the gallery, he runs his fingers across a handsome walnut fly box, replete with abalone, mother of pearl and various metals. Orvis loved the boxes and added them to their catalog. In fact, Orvis released four catalogs in the fall of 2014 touting its “Sporting Gifts Collection,” incorporating distinctive products with stories behind them. When the catalogs hit the mail, Swanson’s fly boxes appeared on three of the four covers, and his profile ran on the back of one issue. Orvis trusted that a Montana woodworker with plenty of fly-fishing experience under his belt could rally interest and curiosity among anglers. Each of Swanson’s wooden fly boxes incorporates several types of hardwoods, including tiger maple, figured black cherry and Pennsylvania walnut. 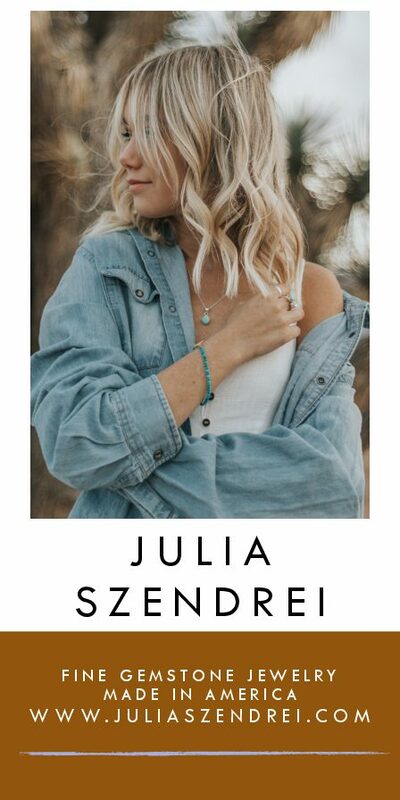 Several are named after Montana’s most famed rivers. The wooden fly boxes are finished with several coats of a water-resistant varnish, and then polished by hand to buttery smoothness. He adds a solid brass lanyard post in one corner, and a subtle cut-away to allow slippery fingers to open the box with ease. 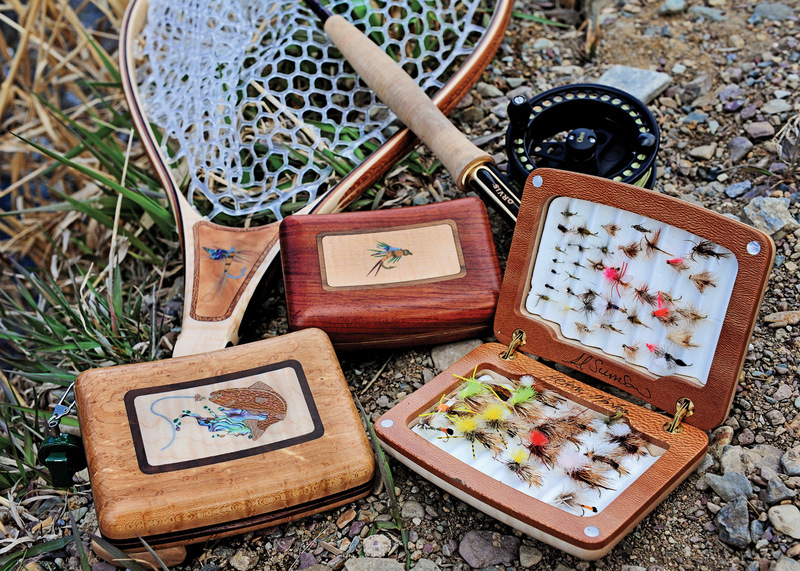 For die-hard fly fishermen, the idea of such an attractive accessory might be superfluous. But they can rejoice knowing that Swanson has concentrated taxingly on making a piece of gear that’s intended for daily use. “We received feedback from a guy who told us that it is the only piece of fly-fishing equipment his wife will allow in the house. That’s a compliment. It’s meant to be used,” he says. 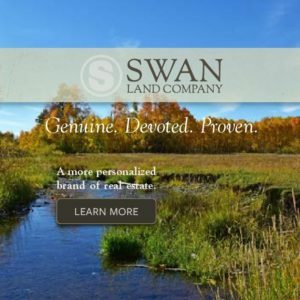 Swanson’s strong relationship with Orvis has evolved. 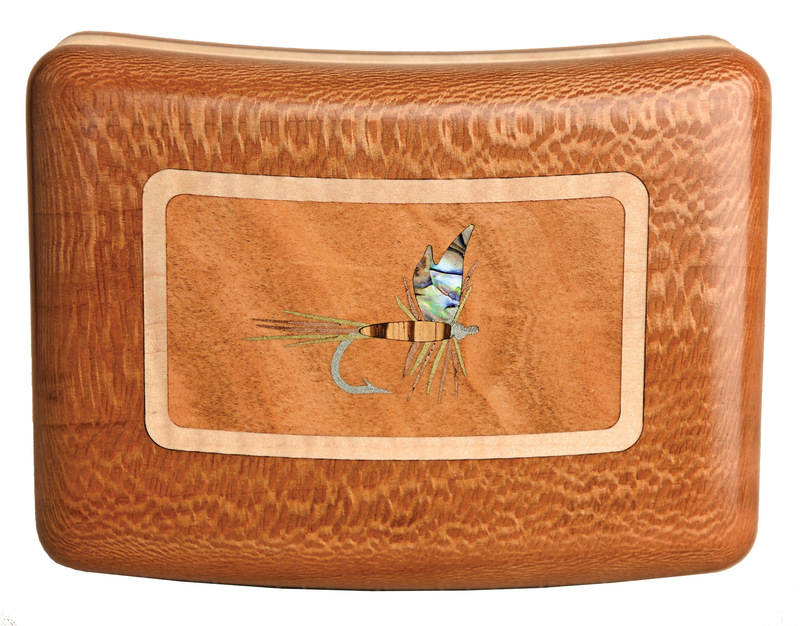 They now carry his handcrafted landing nets and cigar boxes in both their retail and mail order outlets. 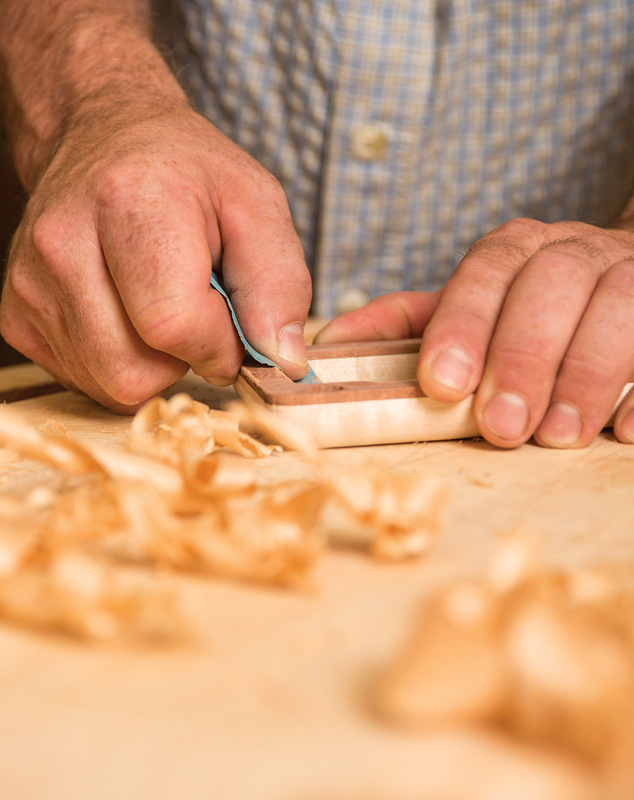 Although he honed his skills as a traditional woodworker using hand tools in New England, Swanson has the same pride in the boxes as he does a hand-constructed dining room table or chair. 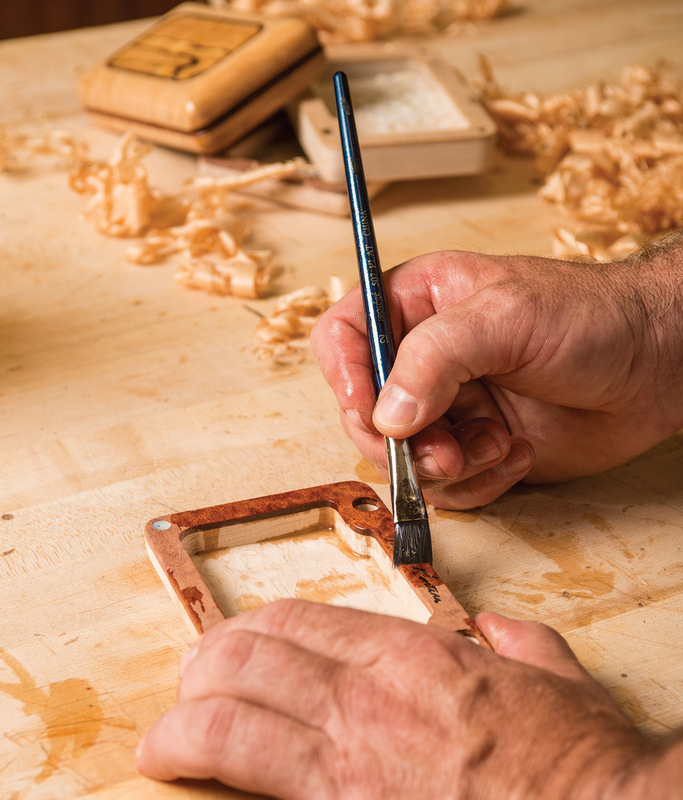 That pride is inscribed into each one-of-a-kind piece, whether it fits in your pocket or in a room of your house. A.L. 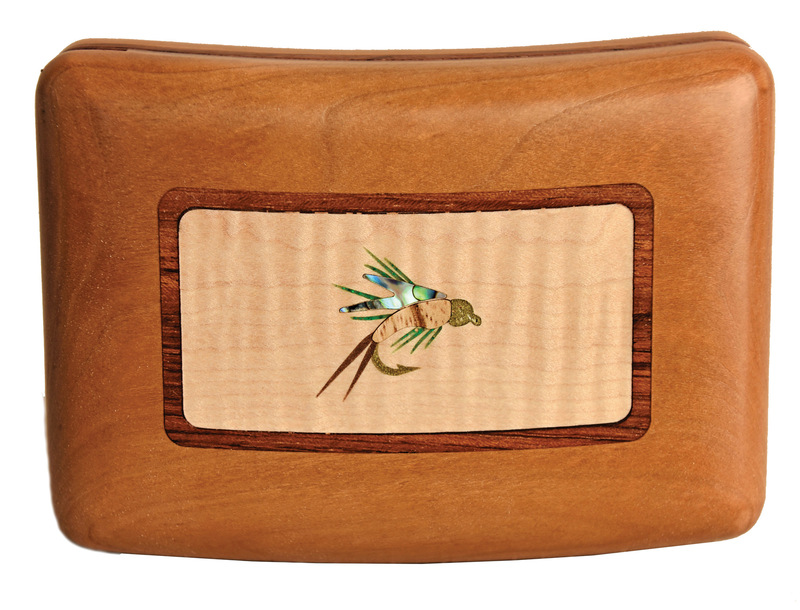 Swanson’s fine, handcrafted fly boxes are made in his studio in Helena, Montana. Swanson, a Shaker-style furniture maker by trade, recently started making wooden fishing products for fly-fishing retailer Orvis. 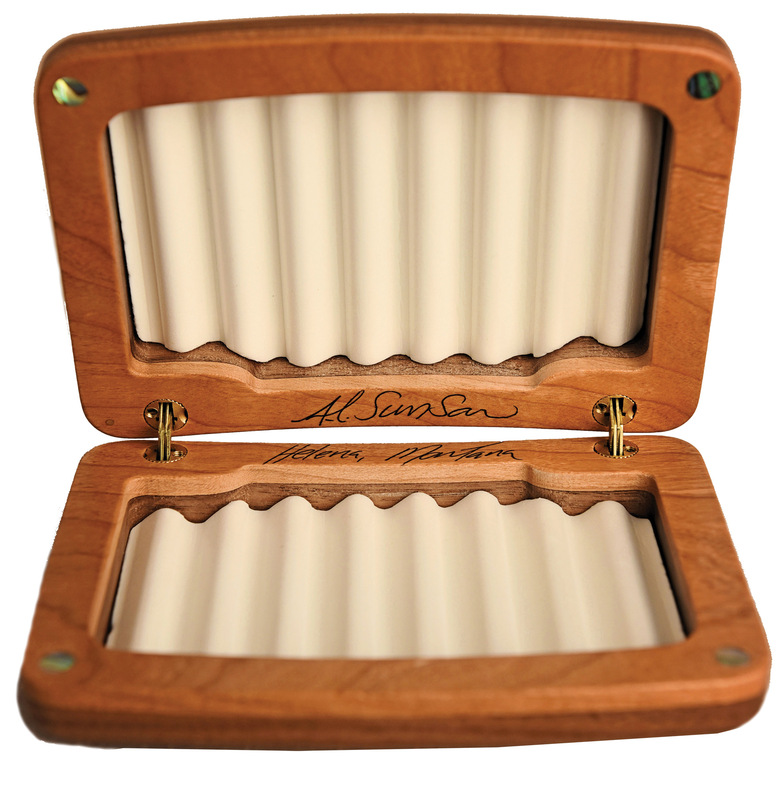 Swanson’s wooden fly boxes use sustainably harvested lumber, solid brass internally- mounted hinges, and magnetic closers capped in abalone or mother of pearl. All wooden fly boxes come wrapped in Kraft paper and enclosed in a small cardboard box lined with freshly planed cedar shavings. A.L. 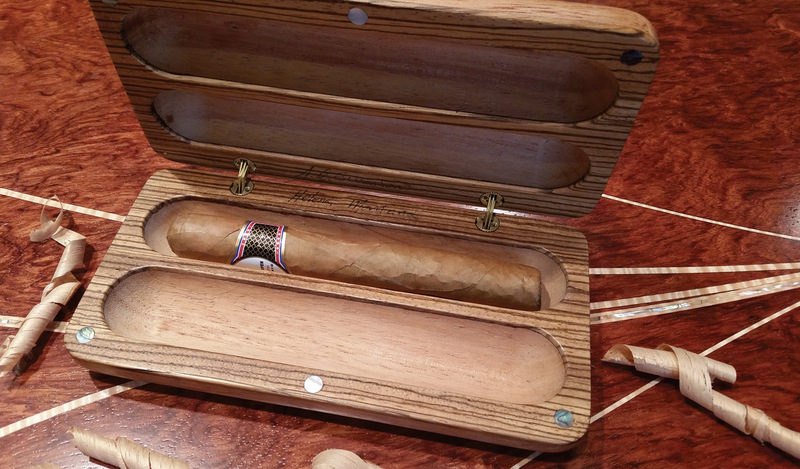 Swanson expands his craft to cigar boxes, which are handcrafted in Spanish cedar, walnut, maple burl and abalone shell.